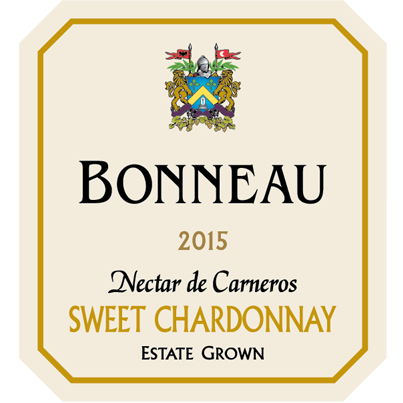 The grapes for Bonneau, Estate Grown, Sweet Chardonnay were harvested late in the season at 29.4 brix, resulting in pleasantly sweet wine that has a residual sugar of 5.7% at 14.1% alcohol. This very unique wine was made without any additional malolactic fermentation in stainless steel and bottled in early 2016 in order to capture the bright aromas of apricots, white peaches & ripe pears. The fruit flavors come through on the palate with a touch of honey. The texture is light and refreshing. There is a long pleasing finish with just the right amount of acidity for perfect balance. Please enjoy this wine as an aperitif, with Asian food or with almost any dessert.